Do you often travel a lot to different cities and the main problem you face is the deflated tire during the journey and you didn’t want any tire shop nearby? Surely, you don’t want to face such a situation; so your favorite online e-Commerce store Telebrands PAKISTAN has come up with a new and unique product of its kind as the Air Dragon Portable Air Compressor. The Telebrands Air Dragon Portable Air Compressor, as well-indicated by the name, is a multipurpose handy air compressor that can be used to inflate car tires of any sizes. The best thing about this portable air compressor is that it comes with the cigarette lighter compartment socket. So, all you have to do is to plug the socket of the portable compressor into the car’s cigarette lighter compartment. This very feature comes to very handy especially at those situation when you don’t have another power source. Another best feature of the Air Dragon Portable Air Compressor is that it automatically prevents the over filling of air in an article. So, you don’t have to worry about the busting of tire or another article just because of overfilling problem. 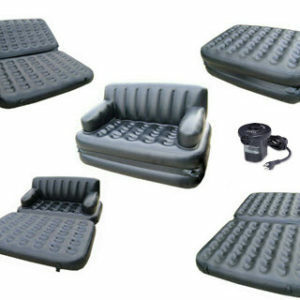 Not only you can fill air in tired, but you can also use the Telebrands Portable Air Compressor to fill air in other articles as mattresses, sofa bed, kids’ toys and so on. Now you do not need to pay an additional visit to the tire shop to inflate your car tire, instead the very same purpose can be fulfilled by you. The Air Dragon Portable Air Compressor can easily be ordered by just dialing the number 0333.4115583 from your mobile or landline number.